Bhai Manjeet Singh Ji in his veechar of Raag Sorath SGGS Ang 625-634 shares that we must be in shukrana of God all the time. Guru Ji gives sukh and ananda when we have Shabad Guru entrenched in our hearts, and only God can protect us. 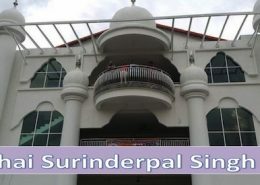 His veechar was at Shah Alam Gurdwara on Tuesday, September 11th, 2018.